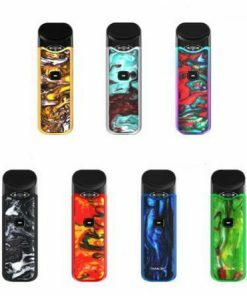 Smok Nord Pod Kit is an advanced version of Novo. Although it looks like the enlarged version of Novo, actually the Nord kit has full improvements in details. 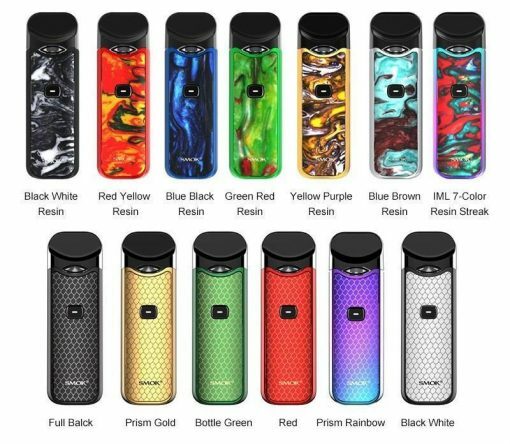 First of all, the Nord kit has 1100mah battery capacity which is two times larger than Novo, it will provide longer time vaping and massive vapor. Second, it added a fire button to start vaping and it also acts as LED indicator to show the battery life. The bigger and thicker size make it more comfortable to hold in hand. The improved duck-billed mouthpiece comes with a lip curve on it, it is perfect fit your mouth and offer better experience. 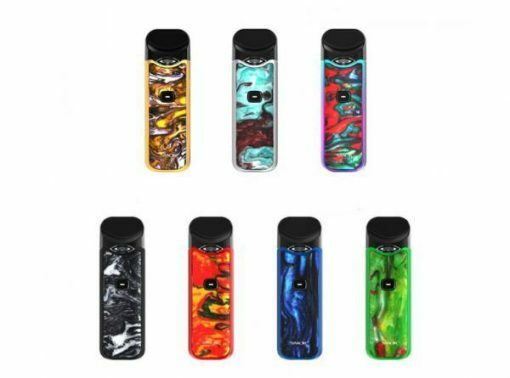 The pod cartridge can hold 2ml e-juice. It is compatible with two exclusive coils. The Nord 0.6ohm mesh coil produces massive clouds and better flavor. 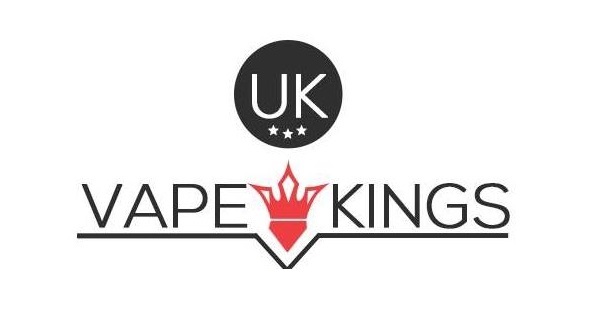 1.4ohm regular coil is designed for MTL vaping. When you need to refill it, you just pull out the rubber plug and inject e-juice from the side.